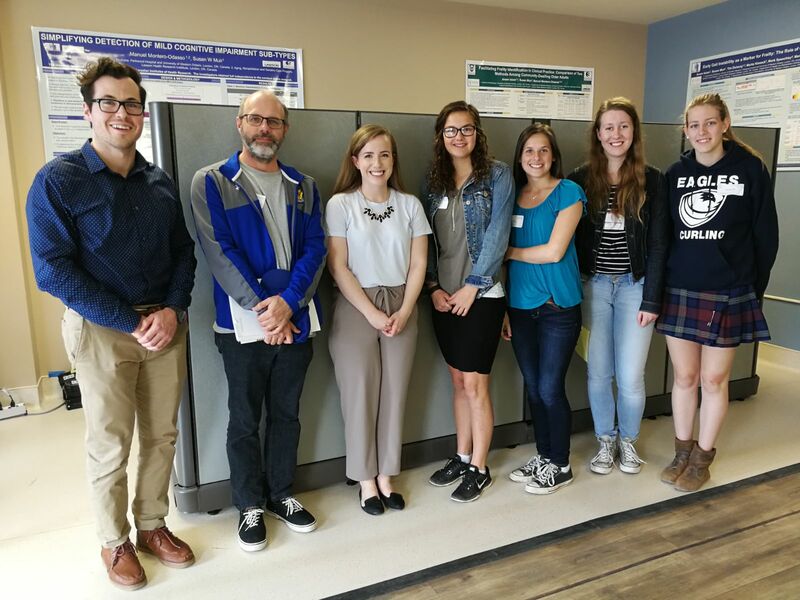 On Friday May 4, 2018 the Gait and Brain lab hosted high school students from London and surrounding around areas for an interactive presentation on our research here at Parkwood as part of the Canadian Medical Hall of Fame’s Discovery Days in Health Sciences program. 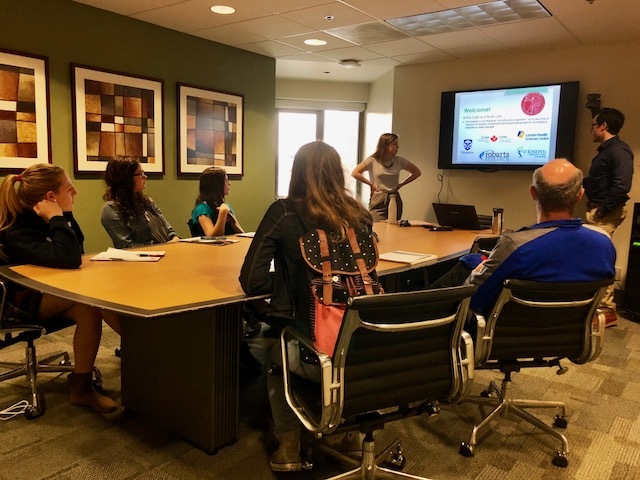 Check out some photos from the event below! PhD student Nick Bray (far left) and undergrad trainee Stephanie Cullen (third from left) with Discovery Day participants. 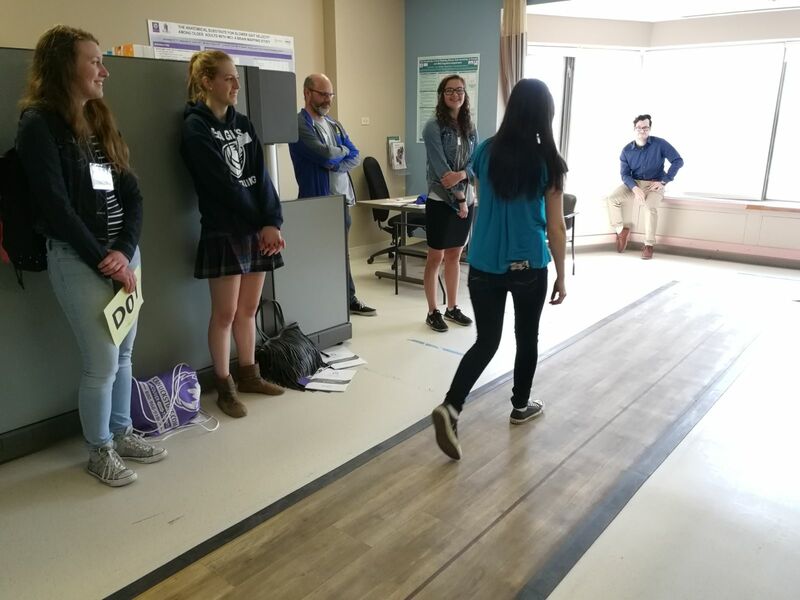 Discovery Day students get a chance to walk down our sensitized gait mat and get an analysis of their walking by our lab students. Nick and Stephanie presenting our lab’s goals and research questions. 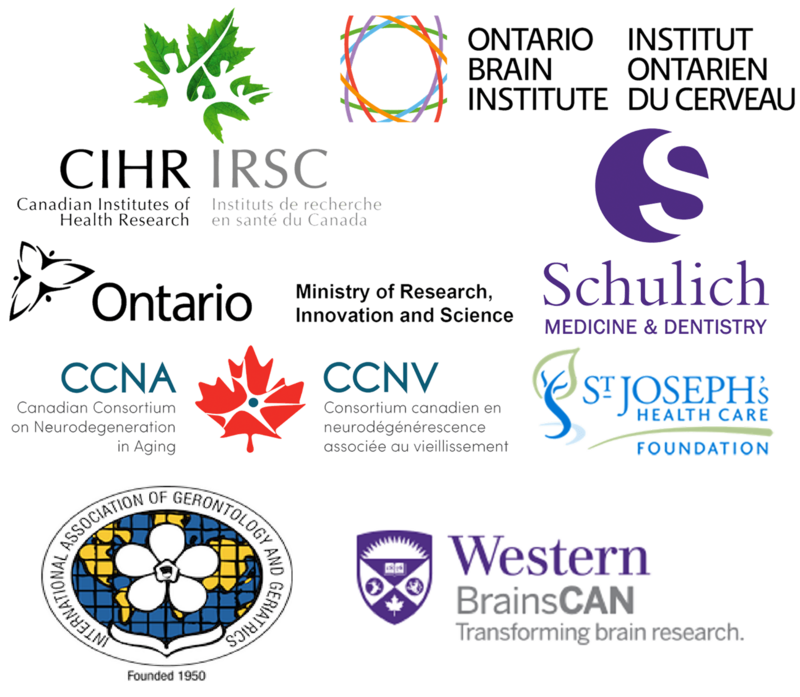 For more information about the discovery day program and the Canadian Medical Hall of Fame, click here. ← Welcome our new Clinical Trials Management student, D’Arcy Arends!